If you haven’t heard of the Lesbian Book Bingo before now, it’s not too late to join! In short, it’s a year-long reading challenge where you’re trying to read one book for each square on the bingo card—and you can win great books while doing it. If you need to brush up on how Lesbian Book Bingo is played, check out the rules. I’ll post suggestions for a new square on the first and third Thursday of each month. Today, I’ll be covering the “historical fiction” square. Part of the fun and the challenge of the Lesbian Book Bingo is that you are encouraged to read books that you might not have tried otherwise. I know that some people shy away from genres such as historical fiction, but give it a try—or if you already love historical fiction, enjoy your read for this bingo square! I’ve put together a list of 15 historical novels with lesbian or bisexual characters I hope you’ll enjoy. The friendship between Lena Kaiser, a sodbuster’s daughter, and Gustie Roemer, an educated Easterner, is unlikely in any other circumstance but post-frontier Charity, South Dakota. Gustie is considered an outsider, and Lena is too proud to share her problems (which include a hard-drinking husband) with anyone else. Fort Bliss—it’s anything but. Caroline “CJ” Jamieson gave up studying history and joined the Women’s Army Corps to live it instead. Along with her new WAC friends, she is ready to do her part to help boys like her brothers, fighting in the European and Pacific theaters, make it home sooner. But when CJ meets fellow WAC enlistee Brady Buchanan, Fort Bliss might live up to its name. On September 7-8, 1900, the island of Galveston, Texas, was destroyed by a hurricane. Rachel Travis fled her family at a young age and now makes her livelihood in Galveston. Independent, friendly, and yet often lonely, only one other person knows the dark secret that haunts her. Madeline “Mattie” Crockett is trapped in a loveless marriage, never daring to dream of true happiness until she meets Rachel. As emotions come to light, can they survive the great storm and build the life they both dream of? In 1888, Emilie Levesque and her family must leave their beloved Canada to seek employment in the booming textile mills of New England. Emilie’s initial culture shock is eased by her friendship with Angeline Fournier. Emilie knows she’s different but has no words for what she is and what she feels. Can these loving friends ever cross the forbidden boundary between the warmth of affection and the heat of desire? In 1899, Kicker works as a hostler and farrier at Grindleshire Academy for Young Ladies. 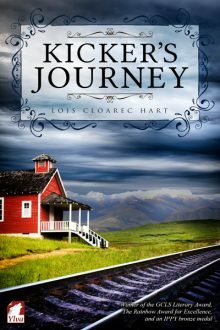 When Kicker falls in love with teacher Madelyn, it radically alters the course of her tranquil life. Kate Winthrop, daughter of a shipping magnate, is expected to marry a respectable man. But her true passion lies with photography—and with women. Much to the dismay of her parents, she becomes friends with their maid Giuliana. Then an earthquake hits San Francisco. Will the disaster shatter their tentative feelings? Or will they be able to save each other’s lives and hearts? 1943. It’s up to America’s women to produce the tools of war – America’s Liberator, the B-24 bomber. For Audrey, hard work and long hours are what is needed to keep her past at bay. Ruth seizes the opportunity to create a new life for herself – a life her mother would not recognize. In a rapidly changing world, these women capture the spirit of the times through determination, ingenuity and courage. Everything that mattered to Frances Moriarty was left behind in famine-ravaged Ireland. Beset with grief and guilt, she is scraping out a shadowy existence as a New York shoeshine boy when word spreads: gold lines the riverbeds of California. Determined to find her fortune, Frances sets out on the overland trek to California’s gold fields. But her steps are haunted by a past she can’t outrun. 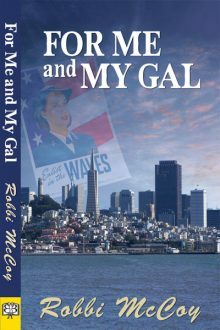 Gwen Lawson is director of a small Naval museum whose treasures pique her curiosity and her compassion, especially when she comes across an old WWII-era diary describing a tragic love affair between two women. Gwen teams up with Shelby Pratt, the granddaughter of the diarist, and the pair set out to right past injustices while being drawn into an unexpected romance of their own. In 1931, Katherine Henderson leaves behind her small town in Kansas and the marriage proposal of a local boy to live on her own in Chicago. There she meets Annie—an outspoken feminist who challenges Katherine’s idea of who she thinks she is. In 1997, Katherine’s daughter Joan finds a packet of sealed letters when she cleans out her mother’s house. In those letters, she discovers a woman completely different from the aloof and unyielding mother of her youth. Can Annie find the strength to forgive and to live the life she’s always wanted? 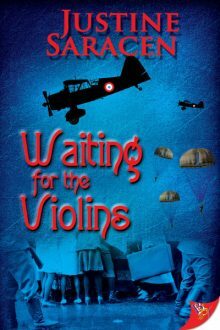 In 1944, socialite Elizabeth Carlton joins the Women’s Army Corps to escape family expectations and love’s disappointments. Can Sergeant Gale Rains get her through Basic Training with their hearts intact? With the whole world at war, victory is never certain as two women wage their own battles of will and desire. Wi Ile Anpo is two-spirited, a Lakota warrior with visions of a pale-skinned woman that mystify her yet also wound her soul. 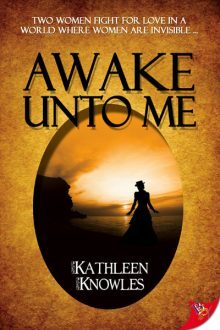 Kathleen McGlashan Stevens, an Irish immigrant, confronts savagery and madness when she’s abducted by Indians, but finds an anchor in Anpo. But Anpo holds herself aloof, as if there’s a secret Kathleen will never understand and a future neither of them will live to see. Antonia Forrester, an English nurse, is nearly killed while trying to save soldiers fleeing at Dunkirk. Embittered, she returns to occupied Brussels as a British spy to foment resistance to the Nazis. Sue Trinder is an orphan, left as an infant in the care of Mrs. Sucksby. One day, the most beloved thief of all arrives—Gentleman, an elegant con man, who carries with him an enticing proposition for Sue: If she wins a position as the maid to Maud Lilly, a naïve gentlewoman, and aids Gentleman in her seduction, they will all share in Maud’s vast inheritance. If you haven’t done so already, download your bingo card, pick the book you want to read for the historical fiction square, and start reading! Remember that you can either read one of the 15 books listed above or pick another lesbian book that is set at least 25 years in the past. In addition to winning books by completing a line on the bingo card, there’ll also be a giveaway for each post. 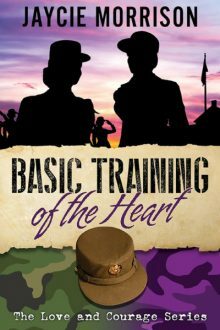 This time, you can win an e-book copy of Basic Training of the Heart by Jaycie Morrison, which fits not just the historical fiction square but also the previously posted women in uniform square. 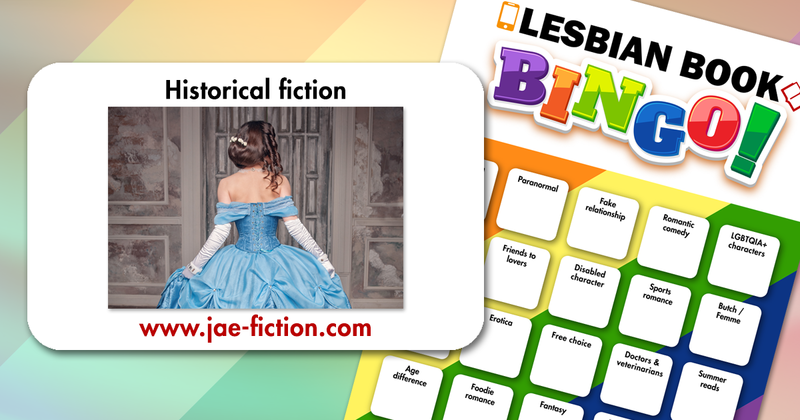 To be entered into the drawing, leave a comment and let us know which book you’re going to read for the historical fiction square or if you can think of other lesbian books that fit this category. I’ll announce the winner of the e-book on Thursday, January 25. The reading list for the next bingo square—doctors & veterinarians—will be posted on February 1. There’ll be another giveaway too! Wooo my Favourite category! 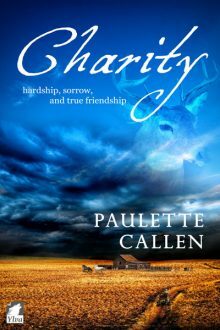 I want to read Charity by Paulette Caullan or Galveston 1900: Swept Away by Linda Crist. Or both. Probably both. I was going to watch Fingersmith but now I think I’ll read it first so I can use it for my square. – The Gothic Romances by Patty G Henderson, Including Shadows of the Heart Those book are very short, simple, and sweet. The historical detail is nicely done in book that short, you’re perfectly situated in the time period without boring you with details. Great quick reads. So many interesting titles on this list. I’ve already read a few of them. I have been meaning to read Basic Training of the Heart for a while now, so I will probably read that one. Historical fiction is where I’m really going to pile on the recommendations! But what can I do for a historical in my mini-story series that I’m posting to promote the bingo challenge? After all, the entire series has a historical setting! Why, I write something that’s historical with respect to my historical characters, of course. I haven’t decided yet what I’m going to use for my historical bingo square. Since so much of what I read in lesbian fiction is historical, I’ll wait and see which book I don’t need for some other square. Heather this is absolutely amazing! And thank you for your weekly podcasts enlightening us on lesbian historical fiction. They are very engaging! So, many more than I was aware of. I think Redhawk’s Two-Spirited book looks good. Thanks for all of the new reads. You won’t be disappointed with Tiopa Ki Lakota. The story still lands in my Top 10 favorites of all time! That’s a great list. I’m thinking about reading either “Backwards to Oregon” by Jae or “Silver Wings” by HP Munro. I can also recommend “Lilies of the Bowery” by Lily R Mason, a book I read just a month ago and it was lovely. *for readers who haven’t had the luxury to enjoy these 2 classics of Jae’s, I implore you to read them. And don’t just stop there. Read ALL the shorts that accompany the Oregon Series to delve deeper into this unforgettable family & their journey! Satisfaction guaranteed! Thanks for posting these suggestions. I think In the Company of Women has caught my eye! I really enjoyed In the Company of Women and definitely encourage you to read her additional text regarding how she came up with the story. 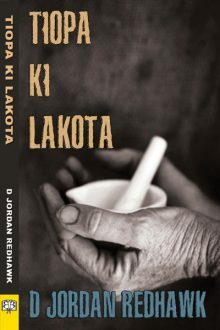 Past winter hollidays I’ve read Tiopa Ki Lakota by D. Jordan Redhawk. I can really recommend this wonderful and very authentic historical novel, especially for those of us, who are interested in history and culture of the north american natives, here the Lakota. For this great lesbian book bingo I will finally read Jae’s Shaken to the core. But I think, I will read it this time in my native language german. It’s titled “Aus dem Gleichgewicht”, which will be released soon. I have a few of these on my to-read stack, but I’ll go with the vintage copy of Moll Cutpurse which came in the mail today. Hat tip to Heather Rose Jones, who mentioned the book in her podcast. Kicker’s Journey and Water’s Edge are tops on my list for the historical fiction square :D Ever since I read Lyddie by Katherine Paterson in grade school, I’ve been fascinated by stories of women working in textile mills. Thanks so much for the suggestions! It’s fun to discover new books. 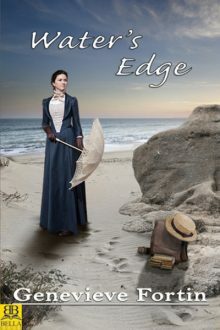 I’m going to read Water’s Edge by Genevieve Fortin. Happy reading! I still have no clue. I will have to read more about each to decide. Thank you so much for the recommendations. I missed the start of this bingo, but I really like the idea of it! It will make me try genres I normally wouldn’t pick out. So I already made up for lost time in the first box. For this square I will start with Fingersmih – Sarah Waters and Silver Wings – H.P. Munro. And thanks Jea for all the suggestions! It’s a great way to make my to-read list even longer, together with all the suggestions of the other readers. You’re very welcome, Rawena! I hope you enjoy the book bingo! I’m planning on reading Love on Liberty by MJ Williamz. I also want to reread Backwards to Oregon and its sequel. Tremble and Burn by Anna Furtado. Tiopa Ki Lakota is one of my favorite stories- good choice! I have a lot of ideas right now for historical fiction. Might read Fingersmith on this list, as I think it’s at the library, or maybe Tipping the Velvet or The Paying Guest by the same author. I might also read The Raven’s Heart by Jesse Blackadder (MC is apparently bisexual but I don’t think that’s central to the plot so I’m so-so on it.) Or another possibility is Tangled Roots by Marianne K. Martin, which I think is sort of a Reconstruction-era story of an interracial relationship. Technically I’ve already read a historical fiction, though, because I read For Whom the Roses Grow by Rebekah Blackmore last week. I haven’t read any book of the list. But I did read ‘Backwards to Oregon’ and that was beautiful. 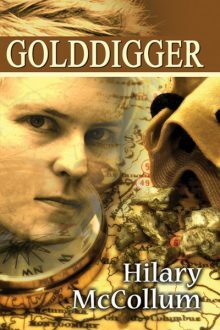 Golddigger by Hilary McCollum will be my choice for the historical square. It’s already waiting for me on my Kobo. For this square I am re-reading my favorite Alpennia book, ‘The Mystic Marriage’. The whole series is historical with a touch of fantasy, and it’s superb. I just wanted to point out that every Sarah Waters novel works here and it’s amazing (except for ‘The Little Stranger’, a super accomplished novel, but no queer characters). ‘Fingersmith’ was mentioned in the post, but she also has ‘Tipping the Velvet’ and ‘Affinity’ set in the Victorian Era, and ‘The Night Watch’ and ‘The Paying Guests’ set in the early XXth century. And leaving here one I read very recently and loved: ‘Afterimage’, by Helen Humphreys. It’s beautifully written. Consider romance stays a second thought to everything else, though, in case that is a deciding factor for you. The idea was to read the sequel to “Backwards to Oregon” (why can’t I remember the name?! ), but now that you’ve mentioned “Fingersmith”, I want to drop everything and reread that instead! It’s one of my all-time favourite books. Hidden Truths. Both stories are wonderful and as another reader mentioned above definitely try to get the short stories that continue the characters. You won’t be disappointed! I read The Caretaker’s Daughter! A really good book, Gabrielle did an amazing job with the writing. This is one of my favorite categories and I’ve read all but 4 on the list. A few other favorites: Nann Dunn – The War Between the Hearts and Clash of the Minds, Catherine Friend – The Spanish Pearl and The Crown of Valencia, C F Frizzell – Stick McLaughlin Prohibition Years, Nancy Little – The Grass Widow, L J Maas – Tumbleweed Fever and Prairie Fire, Yolanda Wallace – Divided Nation United Hearts, Caren J Werlinger – Cast Me Gently. I reread Shaken to the Core earlier this month but for the bingo card I think I have to revisit Luke and Nora in Backwards to Oregon since I kind of fell in love with Luke 🤓. Then of course I’ll have to reread Hidden Truths! The concept of Lesbian Bingo is such a great idea as it is pushing me into places I seldom wander into and this category is one of them. Now what to pick ? Letters Never Sent by Sandra Moran…. Really enjoying this Bingo and can’t wait to explore this sub-genre. I hope you enjoyed traveling the Oregon Trail with Luke & Nora again! Definitely planning on reading In the Company of Women. have it on my kindle but haven’t gotten around to reading it yet. Good choice! Don’t forget to read the additional text that describes how she came up with the story- I thought that was pretty interesting. I will be rereading Backwards to Oregon. I have been wanting to do this for years and never take the time, because of all the new books available. This is my most favorite lesbian book ever!! The sequel and related stories are great too! I highly recommend them all. Aww, that’s wonderful to hear. I feel truly honored. some time ago I read a real good written Fan fiction which might fit well into this category. Its “Second Son” by AK Naten. If Fan Fiction also is possible in this game, you should add “Second Son” to this list too. Fingersmith is fantastic, though I found the repetition of the blander parts of the story (between the two points of view) a bit annoying. This year, I read Niamh Murphy’s Mask of the Highwaywoman for the historical fiction category. I’m not a huge fan of the genre, but I can think of at least 3 or 4 really good books that fit into it. Other than Fingersmith, I haven’t read any of the books on this particular list. ‘Backwards to Oregon’ is, and always shall be, my favorite pick for Historical Fiction. I love lesbian bingo and I love your blogs relating to different categories! Thanks so much for the terrific suggestions. I have several lined up on my kindle just waiting for me. I’ve had Water’s Edge by Genevieve Fortin on my Kindle for a long time, so I’m definitely reading that one for this square! And another good historical choice is “Divided Nation, United Hearts” by Yolanda Wallace (Civil War romance). 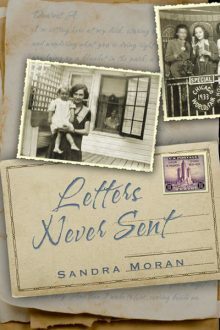 I haven’t read any of Sandra Moran’s books and keep hearing how great they are, so I think I’ll read Letters Never Sent for this one. Letters never sent & For Me and my Gal…and Sarah Waters too ! I read Pirates Booty (The Plundered Chronicles) by Alex Westmoreland. There are four in the series so far. I read all of them last week and would recommend any and all but you should definitely start with the first one if you haven’t read any yet. As a plus they are all Kindle Unlimited… so free if you have that membership! I have just re-read Diane Sisterwoman’s Westward We Women. which I can highly recommend to all, as we as the sequel Heal My Wounded Heart. Historical is my ‘cannot say no’ area; thus I am reading Tremble & Burn by Anna Furtado now. With so many wonderful books to choose from – have fun ladies. I am currently reading Backwards to Oregon and I’ve been waiting to read this for a while. There are so many good lesbian books out there.Lesbian Book Bingo is such a great idea and I am so excited to play. I’m reading Backwards to Oregon now for the fake relationship square and it is great! I haven’t read Moll Cutpurse or Pembroke Park in ages, so it might be time to revisit them. Thanks, Karen. I’m happy you enjoyed Backwards to Oregon! I love this category! I am reading In the Company of Women, but I plan on working my way through all of these in this category in time. This is a great way to find awesome books…love this game! 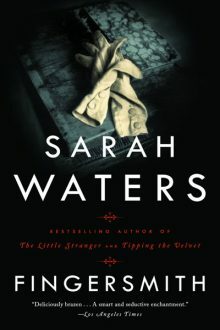 I am going to read Fingersmith by Sarah Waters, Backwards to Oregon is on my to read list also. I loved Shaken to the core as it reminded me of my time in ‘Frisco. My favorite category! I may finally read Fingersmith, or I might re-read Bittersweet. I have some recommendations. *Secret City* by Julia Watts involves a dangerous affair in Oak Ridge, Tennessee, a city created by the government for secretive work (Atomic City) during World War II. *Bittersweet* by Nevada Barr is about two women who flee to northern Nevada in the 1870s. *Map of Ireland* by Stephanie Grant takes place during desegregation in Boston. *A Thin Bright Line* by Lucy Jane Bledsoe is a fictional imagining of the author’s real-life aunt who was a science writer for the government while they were extracting polar ice cores for the first time during the Cold War. *Gay L.A.*, *Odd Girls and Twilight Lovers*, and *Surpassing the Love of Men*, all by Lillian Faderman. *Fire in the Rain…Singer in the Storm* by Holly Near offers a glimpse into the 1970s women’s (lesbian) music scene. *The Girls: Sappho Goes to Hollywood* by Diana McLellan. Don’t let the title fool you. This gets into politics and so much more with thorough research into FBI files, private letters, etc. Can we read non-fiction for the free space? Sure, if you want to read nonfiction for your free space, that’s fine, as long as it’s WLW/LGBT-related. I’m going with For me and my gal. I haven’t found many books related to the Navy, so this looks good. I’ve had a hard time finding Navy stories as well. I was looking through my shelves and found “Scuttlebutt” by Jana Williams though. I read “Divided Nations, United Hearts” by Yolanda Wallace for this square, but I will definitely read some of the suggested ones as well. This usually isn’t a genre I would typically read. But I must say a few of these sound pretty good. I just discovered that one the other day! Can’t wait to read it. I’m reading Fingersmith and loving it. I’m so torn! So many great choices and many of these are already in my library. I will probably wind up reading several in this category this year. Also- who won the book from the last post? I never saw an announcement. A reader named Mallory won the audiobook. I will always draw the winner one week after posting each giveaway, and I’ll post the winner on Facebook and Twitter, but I didn’t announce it on my blog to avoid spamming my blog subscribers with too many blog posts. I will always email the winner so that no one misses her prize. You can also check out my Facebook and Twitter the Thursday after each post. Historical fiction is my favorite genre. I’m stuck between Tiopa Ki Lakota by D. Jordan Redhawk and Fingersmith by Sarah Waters. I’ll just have to read both. I would totally say Tiopa Ki Lakota! letters Never Sent because both sounds like they are going to be amazing books. Thanks for the great recommendations. I am reading In the Company of Women. I was stationed in Texas and this will be fun. I’m going to read “ chaken to the core “ again. Although I hessitated to start again in “ the price of salt” since I saw the film recently. I would agree with all those comments stating this isn’t my normal genre or my usual read. However, listening to Heather Rose Jones’ podcasts has really turned my thoughts around. She has such a wealth of knowledge and her love and passion for this genre is so contagious that she could make reading a stone tablet interesting! She offered up a phenomenal list above with some very talented authors. For me though, I think I will be reading Lee Lynch’s “The Raid.” Thanks Jae for putting so much time and effort into our LesFic family and providing this amazing game with so many amazing story suggestions. Let me tell you some time about when I composed a love poem in Hittite (for a class exercise) and then wrote it up in cuneiform on a clay tablet. I’m so happy you’re enjoying the bingo, Erin. Hope you’re doing well! Shaken to the Core for me. I read A Pirates Booty by Alex Westmore. Hilarious name. Suprisingly good book. It’s the first in a series and I’m trying to figure out which square I can fit the second book in! Great list. I’m reading Fire in the Hole by Alex Westmore for this category. While it is a pirate adventure story, this book along with the previous ones in the series gives an interesting look at the politics of the Elizabeth vs Mary Queen of Scots era. 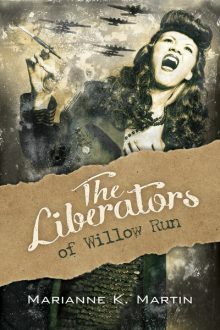 I just blazed thru The Liberators of Willow Run…so good! Looking forward to knocking a few of these off my list! I’m reading Letters Never Sent. I’m making notes for future reading! Thanks for all the recommendations. I’m about to pick up Tiopa Ki Lakota. 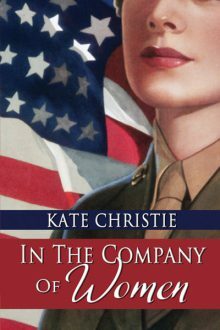 I originally had In the Company of Women in the Women in Uniform category, but moved it to Historical Fiction because I thought it would be a more difficult category for me to fill. I am moving it back & will re-read one of my favorites, Tiopa Ki Lakota for the Historical Fiction square. I am on a tight budget this year & will be re-reading most of my library, but look forward to reviewing all these suggestions next year when I will have a line item in my budget just for books! I’m a bad girl. Shaken to the Core has been sitting on my shelf since GCLS July 2017. I’m diving in. Great! Hope you are enjoying it. I just finished my Historical Fiction Bingo Book. My book was way outside of my normal reading genre. I am so glad I read Letters Never Sent and what a legacy left to us by Sandra Moran. 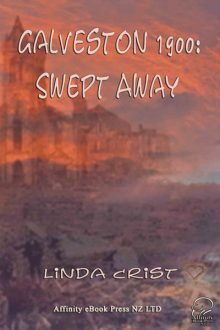 I read the historical fiction book ‘Galveston Swept Away’. What a great story. I couldn’t put it down. This is one of the categories that is going to limit how many cards I can fill out. (The other one is Second Chance Romance.) However, I do have some planned reads. Daughter of Mystery by Heather Rose Jones, which I think could either be historical or fantasy, right? Alaskan Bride by D Jordan Redhawk, and of course, Backwards to Oregon. I’m rereading When Women Were Warriors, one of my all time favorite books. D Jordan Redhawk is on of my favorite authors. I have actual books of hers. It’s about time to reread some again I think. I think I will look into In the Company of Women by Kate Christie, it looks really interesting. I bought Water’s Edge, by Geneviève Fortin. It’s the story of my people, so I’m excited to read it. 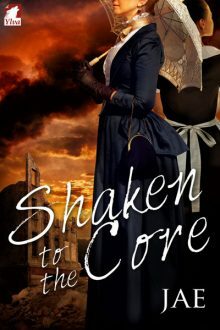 Just finished my historical fiction read of Shaken to the Core by Jae. I was fascinated by the events in the book so much that I Iooked up actual events happening during the 1906 earthquake. Jae did such good research. Thank you. Most of what you read in the novel is based on real events, including Giuliana’s bording house collapsing. I’ve wanted to read Backwards to Oregon for a while, and now is the perfect time!! I loved Shaken to the Core. I hope you enjoy Backwards to Oregon too! Historical Romance is one of my favorites. ‘Letters Never Sent’ by Sandra Moran is a book I have recommended to many. I also bought fifteen copies to give as Christmas books in 2014. In the Summer of 2014, I was lucky to have met Sandra, and her smile and cheerful personality were contagious. She was wonderful. RIP beautiful Sandra. Her business card is tucked in the edge of my mirror for inspiration. Marianne K. Martin is another author I love. While ‘Under the Witness Tree’ is not on this list, it’s one of Marianne’s great works. There are many good authors on the Lesbian Bingo Card, but I must confess to being a huge Jae fan and ‘Shaken to the Core’ is brilliant. It’s now my favorite of Jae’s work. Oh, and thank you Jae for doing the Lesbian Bingo.